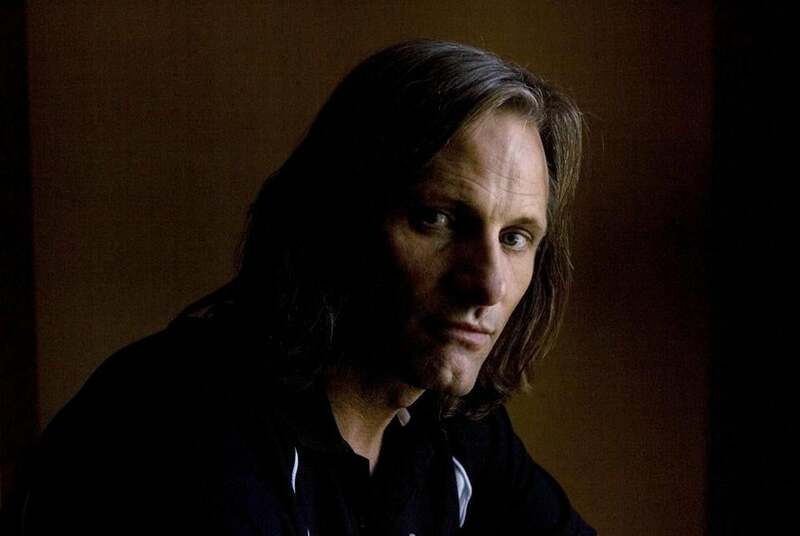 Viggo Mortensen during the Toronto International Film Festival in 2009. He’s best known for inhabiting a haunted and reluctant hero-king. But he’s also been a trailblazing thinker, a vigilante family man with a dark past, a Russian mobster, a swoon-worthy traveling salesman, and one of the last men alive on earth, determined to make sure he and a boy survive. Starring in these movies - the “Lord of the Rings’’ trilogy, “A Dangerous Method,’’ “A History of Violence,’’ “Eastern Promises,’’ “A Walk on the Moon,’’ and “The Road’’ - actor Viggo Mortensen assumes the shape of outsiders. His characters drift, wander, and resist the status quo. They eschew the spotlight. They forsake the obvious path to their fates. Mortensen, 53, says he simply craves “connections’’ and “experiences’’ - two words that frequently punctuate his drawly, meditative speech (as do ruminations on art and mortality). Guided by a thirst for off-kilter adventures, he seeks projects that make him feel alive. Example: Mortensen recently relocated to Madrid to perform in a Spanish-language play called “Purgatorio.’’ “[I was] afraid I wasn’t up to the task as an actor,’’ he says. Yet he discovered, “as usual,’’ that the work with the most emotional challenges ended up being the most enjoyable. This week, the Coolidge has been mounting a retrospective of Mortensen’s films, which continues through Sunday with a rare marathon of the extended editions of “The Lord of the Rings’’ trilogy, followed by a Monday afternoon screening of “Eastern Promises’’ - the David Cronenberg film that earned Mortensen a 2007 best actor Oscar nomination - and a post-screening Q&A with the actor. Then comes a sold-out award presentation Monday night. Asking Mortensen about his ideals can elicit passionate responses. When questioned in a follow-up e-mail, “Who were your heroes growing up as a child, and who are they today?’’ the actor sends an astounding 800-plus word answer, listing childhood heroes that range from “my father, my mother, various horses and dogs’’ to Mahatma Gandhi, Thor, Jesus of Nazareth, Odysseus, Edson Arantes do Nascimento (Pelé), Jesse Owens, the crew of Apollo 11, Greta Garbo, Louis Armstrong, and Mozart, plus adult heroes including Noam Chomsky, Howard Zinn, Heraclitus, Lao Tzu, Anna Akhmatova, Queen Margrethe II of Denmark, Luis Bunuel, Matisse, Margaret Bourke-White, Larry Bird, Magic Johnson, Leonard Cohen, and Gustav Mahler. Mortensen’s passion extends to his commitment to his roles. To get under Aragorn’s skin for “The Lord of the Rings,’’ he wore his costume even while not shooting, and kept his practice sword always close at hand. The idea of a career trajectory hasn’t crossed his mind. “Maybe I would have been smarter to have written down in a notebook, ‘Well, I’m going to play this part and this part before I’m too old to play this part,’ ’’ he says. But loyalty to indie cinema is a double-edged sword. Mortensen has at times grown frustrated with “irritating, dishonest, disappointing’’ people in the business, he says. He’s even contemplated quitting, but never has. Yet isn’t that the fate of those who take the road less traveled? They want recognition, they shun recognition. Yet they still hold out hope. Ethan Gilsdorf can be reached at www.ethangilsdorf.com.